This is such a useful tool to have around for measuring, marking and cutting your leather. 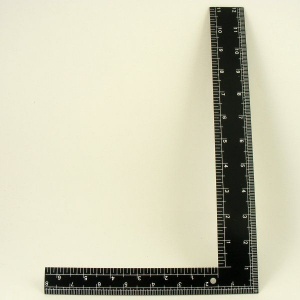 Measuring 12" (30cm) along the long edge and 8" (20cm) along the short edge, this square steel rule has imperial measurements on one side and and metric measurements on the other. 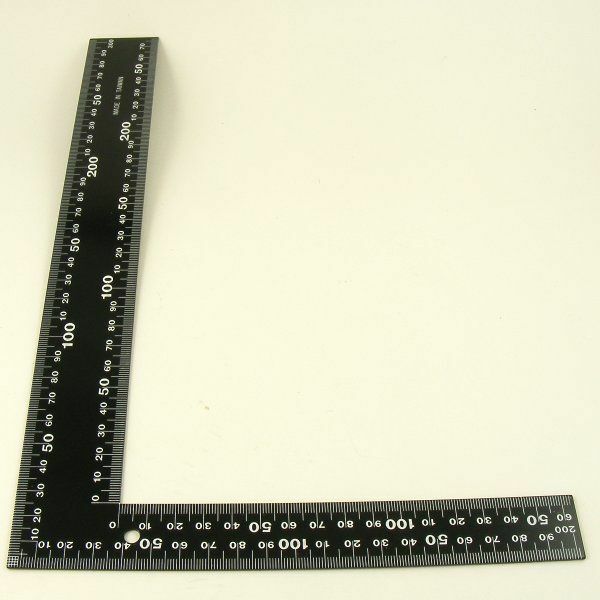 You can use this ruler to mark accurate right angles and straight lines, and you can also use it as a cutting guide.